It’s not a band for your wrist or waist, but the band perfectly works with your iPad Air 2 or other tablets. Curious? Let’s go on checking Vyne flexible tablet stand. 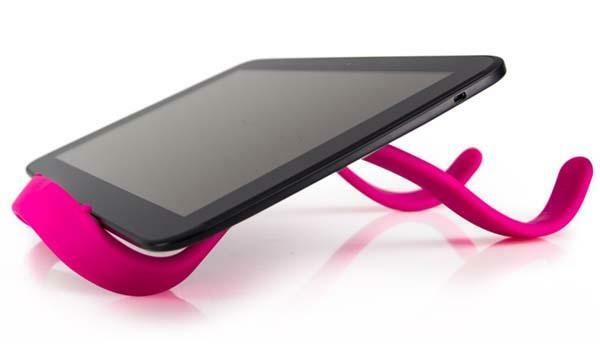 The Vyne is an innovative and practical tablet stand that is compatible with various tablets. 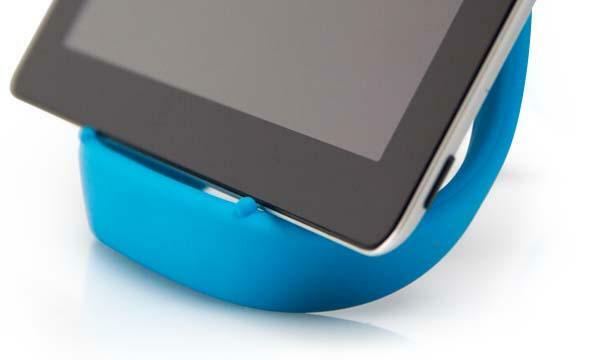 As shown in the images, the tablet stand sports a unique band-like design along with five optional colors. Most importantly, the Vyne features a flexible, bendable construction, with four points of contact, the tablet stand can steadily hold your tablet in portrait or landscape mode, and it adapts to a variety of different surfaces, moreover, you can also easily adjusts the angle for optimal viewing or typing experience, and when not in use, you can coil the tablet stand into a compact size in order to take it wherever you go. 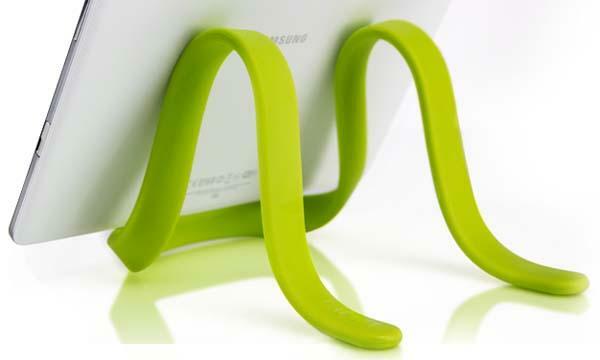 The Vyne tablet stand comes in 5 colors and is priced at $34.95 USD. If you’re interested, jump to Vyne official site for more details or have a look at the following demo video first.